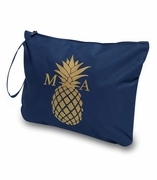 Tropical palm print accessory pouch. 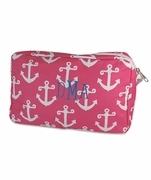 A personal cosmetic bag that can be monogrammed. Unique gift for hostess, bridesmaids, girls night out or co-workers. 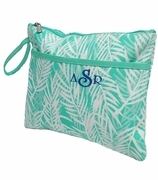 Cute summer palm tree frond pattern accessory bag. Beautiful multi color fronds in fuchsia, teal, yellow and cream. Zipper closure. 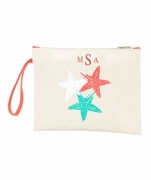 Trendy palm fronds make-up bag measures approximately 7.5"W x 6" x 2" across bottom. Lightweight canvas fabric lined in white polyester. 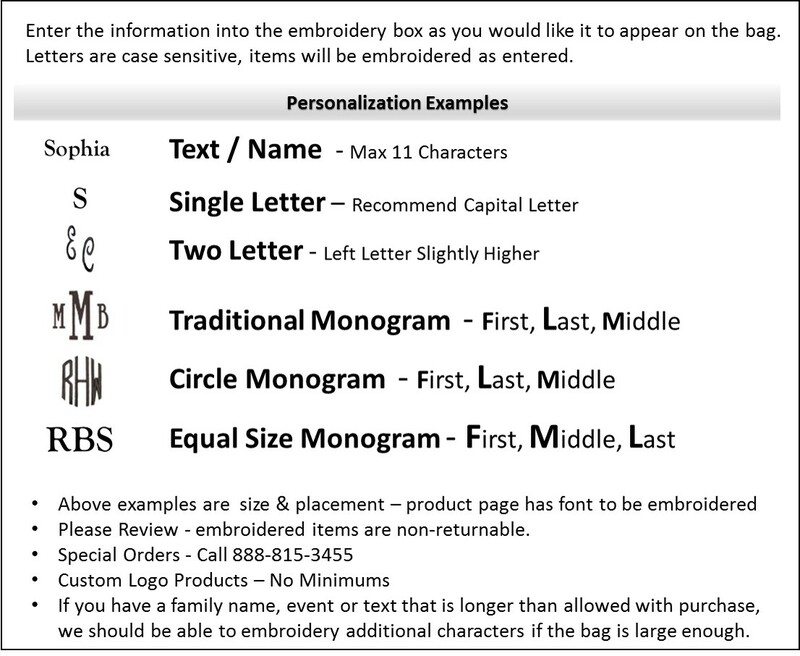 Add your personal monogram free of charge.